We are a family owned, limited-volume custom home builder that can build a custom home on your site in the Charleston, SC area, including out lying islands. We will guide you through the many decisions and selections to ensure your dream home becomes a reality. We are a licensed residential general contractor that can renovate your existing home, or build the perfect custom home, room addition, or outdoor space in Charleston, SC. We also specialize in historic renovations and have expertise in the unique needs of historic Charleston homes. If you need more living space, we can add an addition to the rear, front or upper level of your home. Room additions can add value to a home, and increase your home’s utility. Because our principle is an architect well versed in state and local building codes for room additions in Charleston, SC, we can execute the construction as intended by your architect. We’ll ensure your addition stays consistent with the architecture of the existing structure while expanding the functionality of your living area. 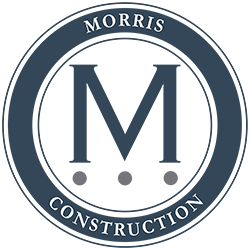 Morris Construction is a residential general contractor. We specialize in home restoration services in the Charleston, SC area, including full kitchen and bath remodels. If you’ll be living in your home during the project, we’ll be sensitive to your routines, your neighborhood, and your schedule. We are experts at age-in-place design and renovation so that you can safely and comfortably stay in your home throughout your lifetime. VIEW CHARLESTON CONSTRUCTION PORTFOLIO | LOOKING TO BUILD IN CHARLESTON? CONTACT US!